Many clients come to visit the clinic for treatment of their OCD, at a point where the frequency and intrusiveness of the compulsions are impeding the quality of life they are wanting, affecting relationships, work and personal life. I. Fear of contamination, infections and health anxiety or known as hypochondria. II. The fear of leaving something switched on that could be potentially dangerous and could cause disaster, for example, leaving plug sockets turned on, or hair straighteners. III. Windows and doors not being locked. So, just a thought for a moment. Have you ever had that thought when you doubt if you have locked your front door and you had to go back and check? Or even made that last minute check to ensure you did place your passport in your bag, just as you go off on holiday - maybe you have even checked more than once? There are even times when you may have heard a song on the radio or a friend was whistling a tune and you found that you just couldn't get that tune out of your head all day. For many individuals, these thoughts can be just one of those moments. For others, the frequency can become so often that the distress of these constant thoughts increases and interferes with every day life. When the intensity turns up in this way and becomes severe enough to affect life quality we can call these problems ‘obsessive compulsive disorder or OCD. So you may be asking why do some individuals get stuck with these thoughts and then use behaviours and rituals to extinguish the distress? • The notion that a ‘bad’ thought will always lead to harm to someone or something, that the bad thought will definitely lead to a negative consequence. • The meaning of responsibility is in a sense over inflated, individuals can feel compelled to take responsibility that nothing ‘bad happens’, thus taking further responsibility, because they feel their thinking may actually cause it to happen. • Sensitivity, there is a higher level of the appraisal of what is deemed to be threatening. This resulting in reviewing everything in more detail and taking action to suppress the perceived threat. • Emotional reasoning, this is when emotions are assumed to be a reliable evaluation of a situation. For example I feel anxious therefore there ‘must’ be a threat or something awful about to happen. • The need for definite certainty and control. 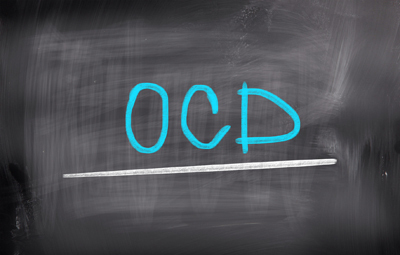 Obsessive compulsive disorder consists of repetitive thoughts and actions, and has three main parts to it. The first part is ‘the thoughts’. It is the thoughts and the meaning of that thought you attach that makes you anxious and we can call these obsessions if they are constant. Secondly is the actual feeling of the anxiety, this appears from the anxious thoughts and the way you have perceived a particular thought. Thirdly is the behaviour, that is applied to reduce the feeling of the anxiety. Some clients achieve in completely removing the obsessions. For others, and depending on the complexity and intensity, increase their ability to reduce the obsession so they are not consumed by the compulsions. Clients experience the anxiety occasionally and are better able to manage the particular tendencies more resourcefully and proactively. At the clinic we teach the skills on how to tackle these unwanted intrusions and tendencies. To do this we use a range of successful therapies that are tailored to our clients needs. Some individuals enjoy the practice of CBT, others prefer our mindfulness model, combined with hypnotherapy and using the body’s physiology. The variations are diverse, psychotherapy is also available and utilised as clients wish to understand their need to be constantly creating certainty. More often we find particular early experiences have attributed to the current behaviour. This understanding provides insight, that to have had control was a useful and creative strategy. To find out more about how to reduce or remove Obsessive compulsive disorder and to hear how our therapy treatments can help you, please contact the Hampshire Anxiety Clinic. Our contact details are on the contacts page of the website.